Embraer today introduced the new Praetor 500 midsize and Praetor 600 super-midsize business jets during a company event at Orlando Executive Airport, where the 2018 National Business Aviation Association's Business Aviation Convention and Exhibition (NBAA-BACE) will be held from October 16-18. The new Praetor 500 and Praetor 600 will be on static display during NBAA-BACE. 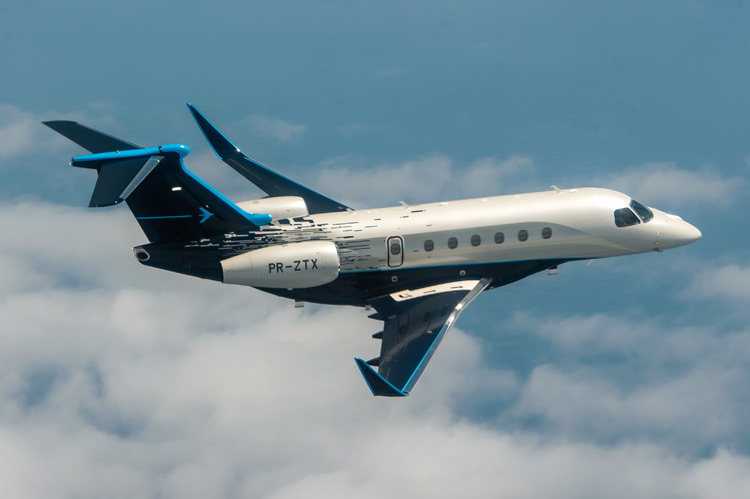 "The Praetor 500 and Praetor 600 are the disruptive aircraft for the entrepreneur, for the pioneer, for the innovator," said Michael Amalfitano, President & CEO, Embraer Executive Jets. 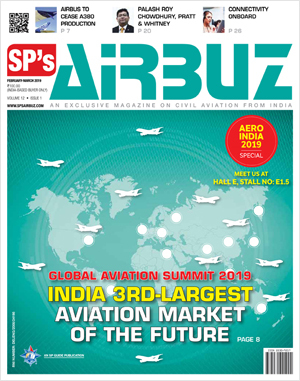 "The Praetors are aircraft certainly in keeping with their name, leading the way in redefining the characteristics of what a midsize and super-midsize aircraft deliver to the market. The introduction of these aircraft support our vision of fascinating our customers and providing them with superior value and the best experience in the industry." The Praetor jets will introduce unprecedented range into their categories. The Praetor 600 will be the farthest-flying super-midsize business jet, which allows nonstop flights between London and New York. The Praetor 500 will be the fastest midsize aircraft, capable of reaching Europe from the west coast of the U.S. with a single stop. With four passengers and NBAA IFR Reserves, the Praetor 600 will have an intercontinental range of 3,900 nautical miles (7,223 km) and the Praetor 500 will lead the midsize class with a continental range of 3,250 nautical miles (6,019 km). "The new Praetor 500 and Praetor 600 will be the most disruptive and technologically advanced aircraft to enter the midsize and super-midsize categories," said Luciano Froes, Senior Vice President, Marketing, Embraer Executive Jets. "Different by design and disruptive by choice, these new aircraft will deliver the ultimate customer experience with an unparalleled combination of performance, comfort and technology." 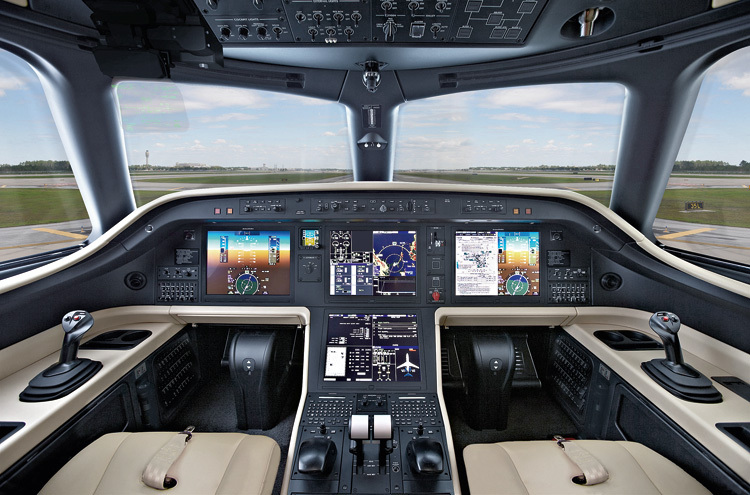 Advanced technology also abounds throughout the cabin beginning with the industry-exclusive Upper Tech Panel that displays flight information and offers cabin management features also available on personal devices through Honeywell Ovation Select. High-capacity high-speed connectivity for all aboard is available through Viasat's Ka-band with speeds of up to 16Mbps and IPTV, another industry-exclusive in midsize and super-midsize business jets. "Inspired by our Brazilian heritage, the Bossa Nova interior will delight Praetor customers with its distinctively elegant ambience," said Jay Beever, Vice President, Interior Design, Embraer Executive Jets. 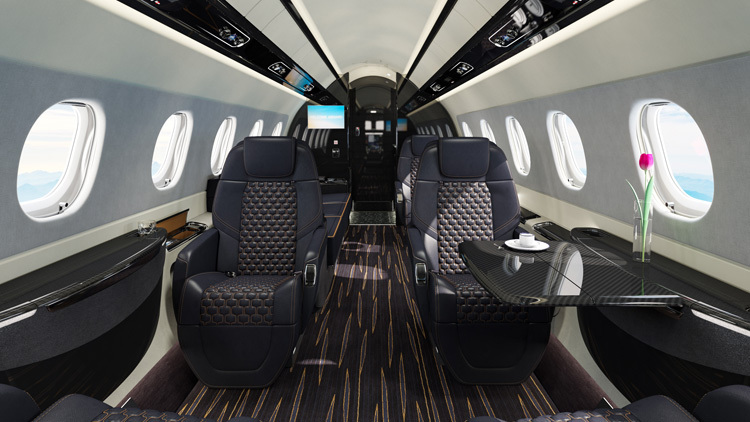 "With personal comfort as the key design driver, the Embraer DNA Design will render an unparalleled passenger experience in the Praetor jets. Upon the foundation of ergonomics and superior craftsmanship, each customer's personal design style will be reflected throughout the cabin."